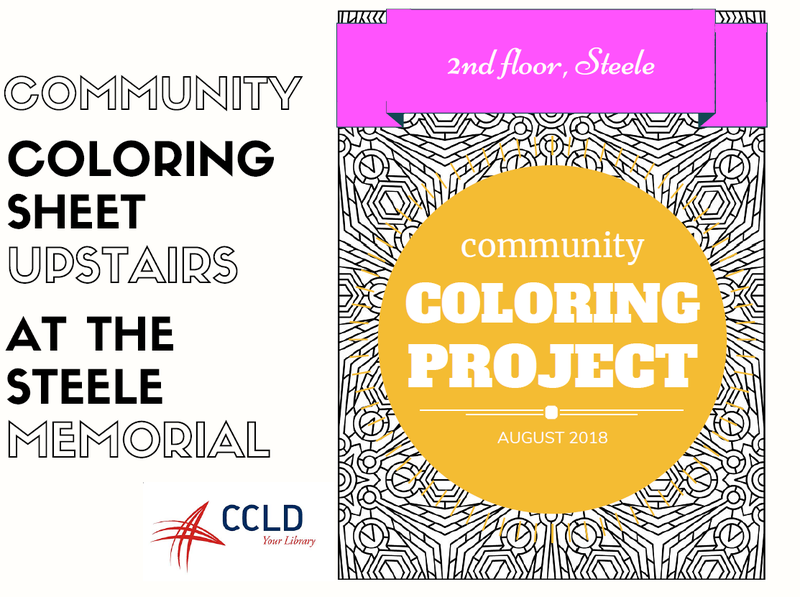 Open to adults and teens: During the month of August, come into the Steele Memorial Library to work on our community coloring pages, located upstairs by the digital media lab. 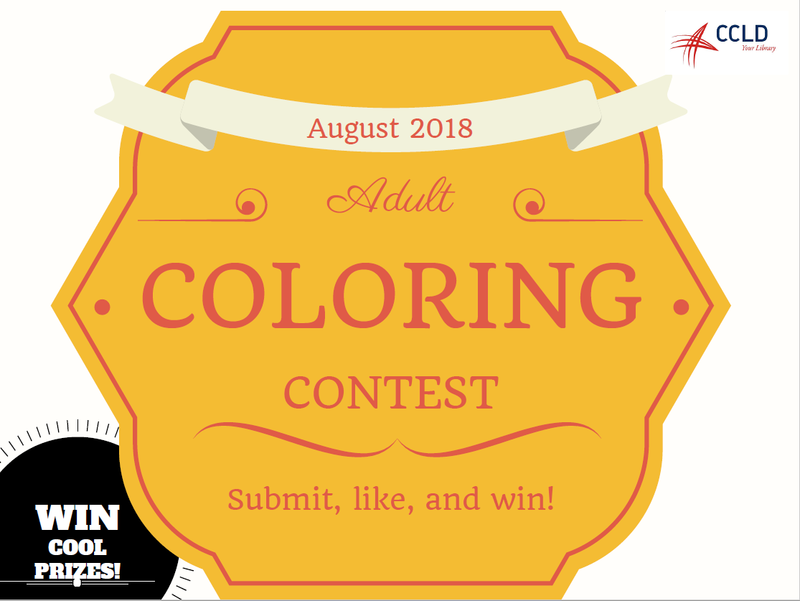 Also, submit any piece of coloring work to the 2nd floor reference desk to be included in a library exhibition of coloring work. The pieces will also be shown in an online exhibit on our facebook page. Images that get the most likes will win coloring related prizes. Please put name and contact info on the back of each piece you submit–limit 2 submissions per person. As always, coloring pages are available at our 2nd floor reference desk (4 pages per person per day, please!) Colored pencils are available for checkout for use within the library. This entry was posted in Community, Uncategorized and tagged #Coloring by Maggie Young. Bookmark the permalink.